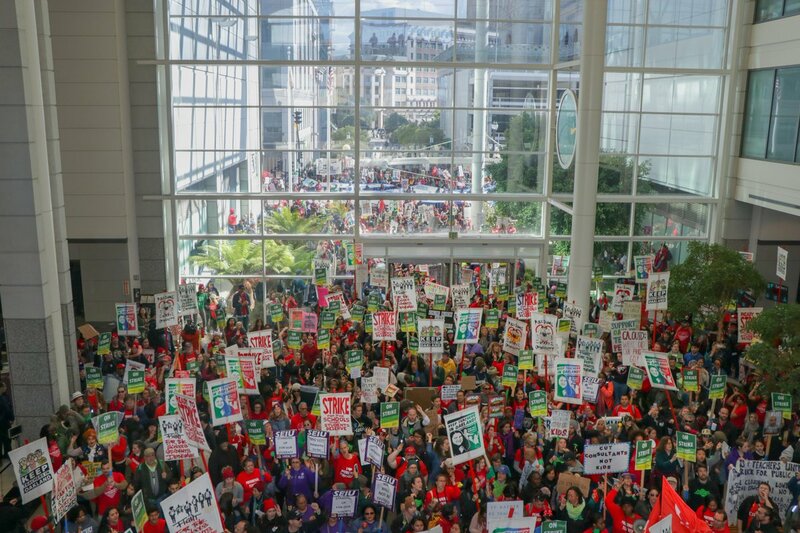 2019 has seen a string of bold and successful teachers' strikes that built on last years' #RedForEd strikes: the new wave of strikes goes beyond paychecks and funding, though, and takes aim at charter schools as a system for the stealth privatization of public education. The issue, long considered too complex and contentious for teachers' unions, has turned out to be a winner. First the LA teachers overcame some of the largest dark-money spenders and billionaire backers in the country's second-largest school district; then came Denver; and now teachers in West Virginia (who won legendary victories in 2018 in fights over pay and funding) have won another victory in a strike that targeted charter schools and privatization, to widespread public support. The West Virginia teachers only had to walk out for two days to score total, decisive victory. The next strike to watch is Oakland, a city where public activism has already struck pioneering blows for transparency and accountability by public officials, overcoming massive spending by private interests. Oakland is also a city on the front lines of racial discrimination, displacement, gentrification and inequality, and the city's schools are the front lines of these battles. 30% of Oakland's pupils are in charter schools, thanks to a cycle that underfunds and under-resources public schools, leaving parents with little choice but to send their kids to privatized, publicly funded charters, siphoning even more public money out of public schools, making their situation even worse. There are unique challenges in the Oakland strike -- many working class parents see the charters as the only schools that offered their kids a fair chance at a decent education -- but Oakland teachers get to build on the victory of the LA teachers, whose strike prompted state action on charter transparency and oversight.